Report: Behaviour Conference 2017 – Deutsche Neurowissenschaften-Olympiade e.V. 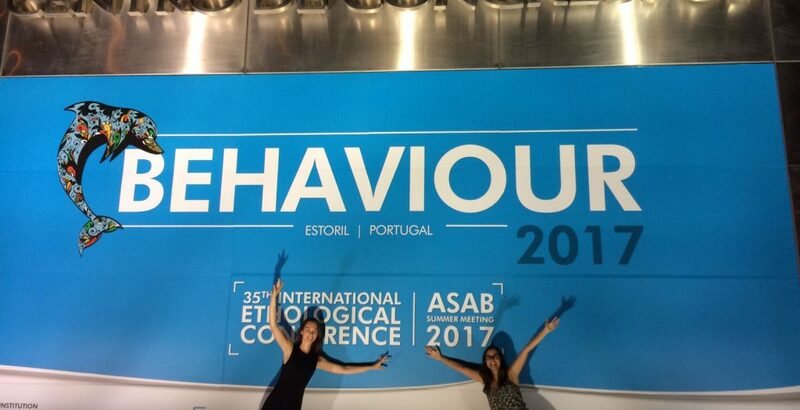 As third placed competitor at the national round of the German Neuroscience Olympiad, I had the opportunity to spend a week in Estoril, Portugal and attended the 2017 Behaviour Conference on ethology. 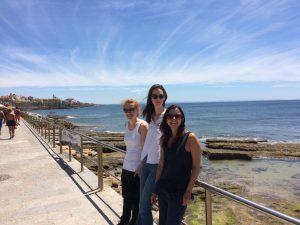 Therefore I said goodbye to the quite fitful summer in Germany and flew to Lisbon, a city near Estoril, where I met Rebecca [second place Nationals winner] and Catarina Luis, one of the organizers of the DNO. The first conference day started with an opening lecture and afterwards the course of the day continued with a huge variety of talks and poster sessions. I was able to choose between and listen to a compilation of presentations about specific topics like mating, perception or hormones of different species like fishes, insects or birds. This conference was really worthwhile to me because I usually focused on the cellular processes of organisms during my studies, but during the event I learned more about the behaviour of animals. At the end of the week, Rebecca and I took on a more active roll at the conference, representing our own poster about the Deutsche Neurowissenschaften-Olympiade (DNO) competition. I also mustn’ t forget the essential breaks between the different sessions, which combine two important parts of the run of a conference: coffee and socializing. Most notably coffee to recharge my batteries for the last speaker sessions in the evening, as their were many presentations by international speakers which were sometimes quite exhausting and a little difficult to understand. Not only during the conference we could establish contacts with people from all over the world, inasmuch as in our accommodation only conferees stayed overnight. Therefore I could chat during breakfast and cooked dinner together with other conference participants and our friendly AirBnB hosts. I should also mention that aside from the regular conference, Rebecca and I could see into the cultural possibilities of Portugal due to Catarina, who was from the proximity of Lisbon and knew many great places to visit. Thus we could enjoy the beautiful architecture of Lisbon’s historic district, Estoril’s beach and tried a few of Portugal’s national dishes like delicious pastry such as “pastel de nata.” On the whole it was a successful week in which the DNO e.V., and especially Catarina provided, us an insight into an important part of the life as a researcher and of course Portugal.